We accept no liability for any mistakes with units of other countries. 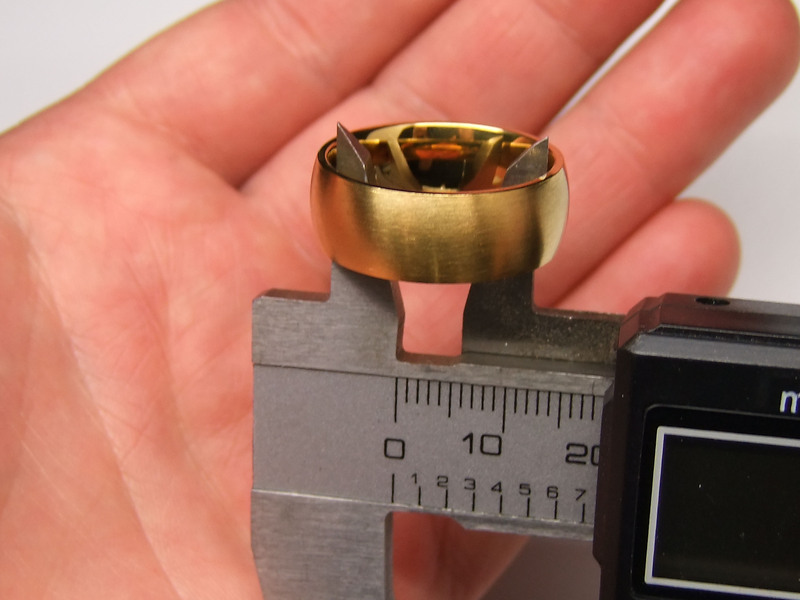 sizes of a wide range of rings. 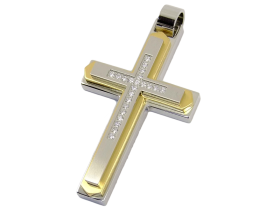 All specified values in our shop are exclusively refering to the inner diameter/inner circumference of the rings. All datas are shown in mm. Engraved rings, rings with modified performance (stones) and also special made rings can not be exchanged or redeemed. You can order your desired rings without engraving to try on. In case of a later engraving we only calculate shipping fee again. 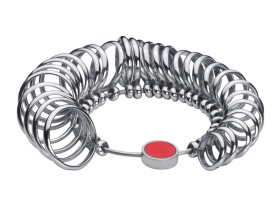 If you are not sure to determine your ring size, we can offer you a favorable "Ring-Multisizer" . You can also determine your ring size, if you measure a matching existing ring with a sliding caliper from inner edge to inner edge. 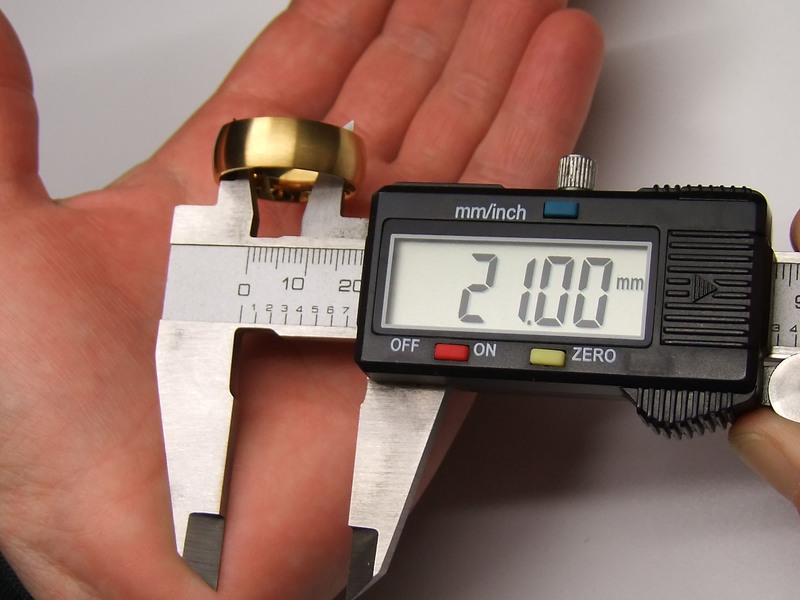 If you do not have a matching ring on hand or if you do not have any experience with rings, please lets measure the size in a shop. 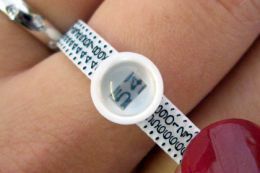 Please DO NOT use a ruler or a printed ring gauge to determine your ring size. The Multisizer just serves as a guide. Improper handling can cause deviations to your real ring size. Please also note, that the fingers swell throughout the day and due to the higher temperatures in summer they are slightly thicker than in winter.